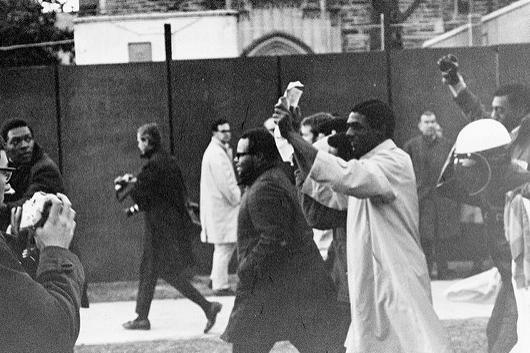 Join us for the opening of student-curated exhibit "Black Students Matter: Taking Over Allen in '69" on the 50th anniversary of the landmark student protest. The event will begin with time to view the exhibit, on display in the Duke University Libraries' Chappell Family Gallery. Remarks will follow at 5:15 in Holsti-Anderson Family Assembly Room, Rubenstein Library 153. The event will be followed by a discussion about the Takeover at the Mary Lou Williams Center for Black Culture. Sponsored by Duke University Archives, the Mary Lou Williams Center, and Story+ at the Franklin Humanities Institute.